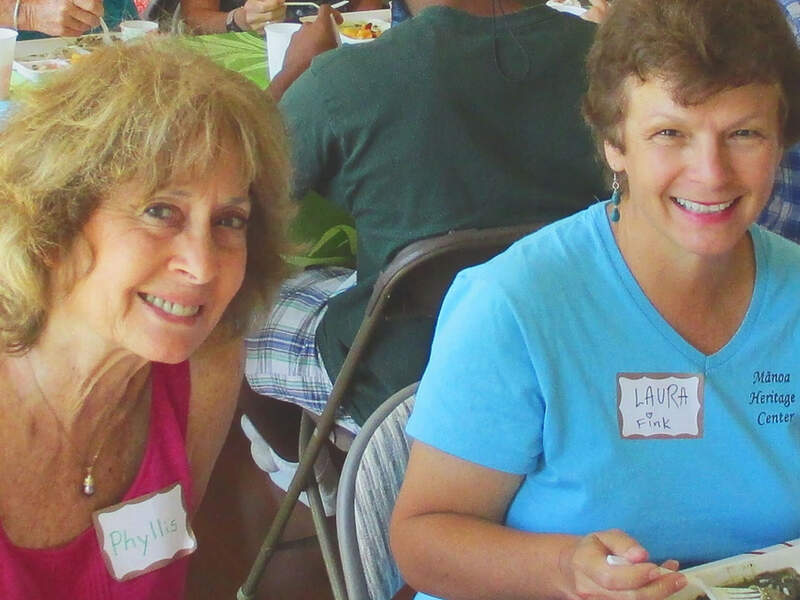 Volunteers are the heart and soul of Mānoa Heritage Center and we couldn’t do what we do without them. 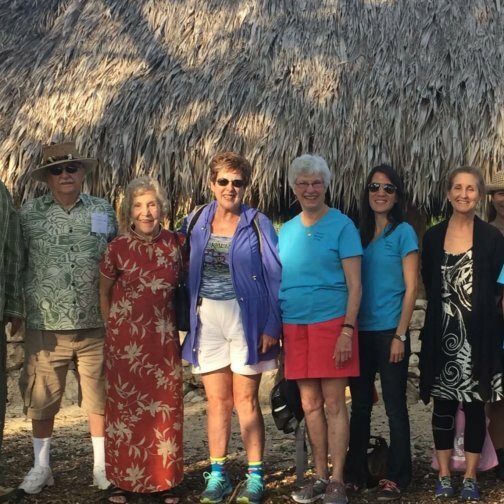 Become a docent volunteer and guide school tours through the botanical gardens that surround ancient Kūkaʻōʻō Heiau and the historic Kūaliʻi home. If you enjoy the outdoors, learning more about Hawaiʻi, and interacting with people of all ages, then this will be a fun and rewarding experience for you. MHC’s six-week docent training course will prepare you for your journey with topics including Hawaiian history, Mānoa Valley’s transition over time, native and Polynesian-introduced plants, and traditional Hawaiian cultural practices. Year-round enrichment excursions and workshops will keep life-long learning at your fingertips. In addition, docents receive special benefits such as complimentary tours for family and friends and annual appreciation parties. 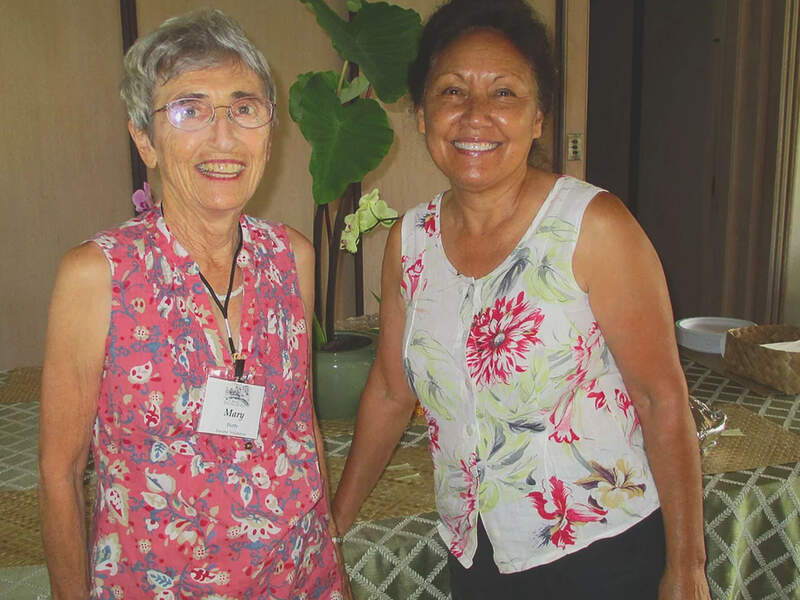 Mānoa Heritage Center welcomes garden volunteers to put their hands in the ʻāina and learn how native and Polynesian-introduced plants were propagated and used while helping to maintain this important botanical garden in the heart of Mānoa Valley. Organized garden work is offered Mondays, Tuesdays, and Thursdays for student school credit, class service projects, service-learning, community outreach or simply for fun! Review the accompanying guidelines for volunteering in the garden.